We can all use a little more balance in our lives. Between hectic schedules of work, play and the gym, it is easy to run out of time for healthy eating. These simple and delicious Balance Bowls, inspired by traditional Japanese flavours, are the perfect vegan lunch or dinner for a busy week. Mix up the vegetables and pickles to give them different textures and flavours; make it a soup with a quick and easy Miso Ginger broth, or enjoy it as a salad with a tangy Ponzu Dressing. If you are looking for a little more substance for dinner, add a piece of grilled chicken or beef to your Balance Bowl. Bonus: All of the ingredients keep well in the refrigerator! Prep your Balance Bowls on Sunday and have them ready for your week of lunches. 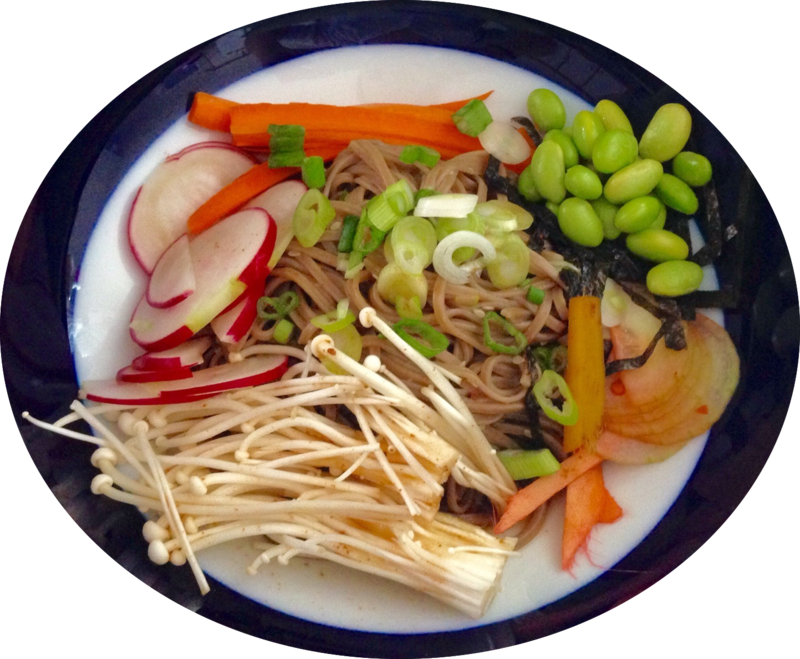 The protein in the Soba noodles, tofu and edamame will keep you full throughout the day, and the fresh vegetables, mushrooms and seaweed will keep you energized. Ginger is a proven anti-inflammatory, and fermented foods like Miso, and vinegar (in the quick pickles) will keep your gut healthy and help you metabolize vitamins and nutrients. What is your favourite Balance Bowl combination?